I've been lucky in my career (English & Technical Communication) which has meant travel, scholarship, and friends around the country and around the world. Austin,Texas has been a good home, a fine place for independent people and the arts. I still miss the lovely woods and cool summers of Hanover! I still delight in jungle growth, plants, and trees. Jungles (in Bali, Panama, Thailand) seem most like spring and summer and autumn on lovely Balch Hill. The fund to protect Balch Hill through the Hanover Conservancy will be my inheritor. I've enjoyed work in literature and art history, and I have developed an interest in tribal and folk art, especially in Mexico, Central America, South America, and along the Pacific Rim. Most recently I've worked with banner artists from Haiti and brought back their work. All of my Haitian artist friends have survived disasters and cholera, I'm glad to say. My own special interest has been in fabric arts. Retirement will come on August 12, 2014. I took a year off before... just to see. Wonderful! Travel has been my delight, my growth, and my pleasure. I've grown from knowing the artists I've met from many places. My favorite: Bali, where every breath is devotional and where family and connections and tradition live long. It's a place whose physical beauty matches its cultural one. Well, I worked a lot. Too much, I expect. All over now! I married twice. Bad choices. No children. It's OK. Still single. Also OK.
After receiving a doctorate in a lousy academic market, I was lucky. The two-year college where I had been teaching as an adjunct hired me. Lots of work, but good money, and lots of interesting adventures. I founded a program in technical communication and became active in both academic and professional organizations. Great fun: lots of professional travel, and lots of friends from around the country and around the world. As a communication consultant to business, industry, medicine, law, and government, I have had an inside view of the many ways that language makes the world work, invent new ideas, serve individuals, and generally make life easier and safer. How many English teachers can say that, I wonder? My education continues with travel, friends, books, my garden. Right now, I'm delighting in retirement. Visited Bali (again) and Vietnam in February. I love Bali's culture, landscape, people, and art, especially weaving. Then on to Chiapas and Michoacan for the Day of the Dead. Last, Hawaii for a bromeliad conference. I grow these bizarre plants, which manage pretty well here. Austin (despite its unlikely location in Texas) is great fun: terrific arts and music scene, some fine libraries, green landscape, and all of the fine and bizarre events and activities a major university offers. Betty Orcutt (that marvel of wisdom, service, care, kindness, and informed perception). I honestly think that she taught me all I know about teaching at the college and graduate levels. She reversed my initial problems with dyslexia in only weeks. Bless her, reading has been my love and my delight. Mrs. Richmond, the dreadful Mr. Howe, the wonderful Mr. Fulton (dear Spike) who loved literature. Katherine Staples has a birthday today. Katherine Staples added a comment on Profile. Katherine Staples updated profile. View. 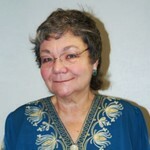 Katherine Staples added a comment on Kathy Bond Gibbons' Profile.